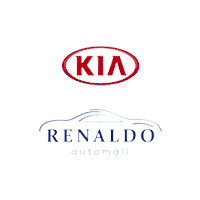 Come to Renaldo Kia in Shelby, NC, near Gastonia, NC and Gaffney, SC, to find factory-made, OEM parts that will keep your Kia running for years to come. If you’re getting ready to work on your next DIY repair project, you need premium parts to finish the job. You can order genuine Kia parts directly from our website or come visit us so we can help find exactly what you need. We have a large variety of parts and accessories in stock, so you won’t have to wait around for it to be shipped. Your next repair or custom upgrade will be done before you know it. If you’re not comfortable doing your own repair work, no need to worry. Schedule your maintenance with us knowing that our skilled mechanics will only use factory-made parts on your vehicle. You won’t have to deal with lesser-quality aftermarket parts going into your car, and can rest easy knowing it’ll last longer while running on affordable and genuine Kia parts. Call today or visit us at 4425 East Dixon Blvd in Shelby, NC, near Gastonia, NC and Gaffney, SC, to get your parts right away.